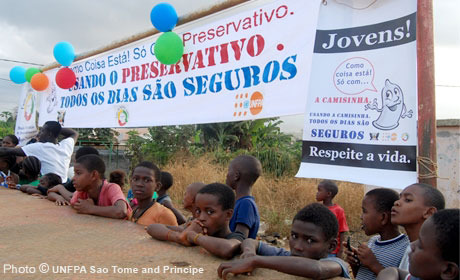 With UNFPA support since 1985, Sao Tome and Principe has significantly expanded reproductive health services, leading to improved indicators related to child and maternal health. The use of family planning, however, remains low and the adolescent pregnancy rate is high, exacerbating the vulnerability of young people, particularly girls. UNFPA programmes use a multisectoral approach to address reproductive health issues and strong communications to promote behavioural change and reposition family planning, including gender and youth issues, into the national development.